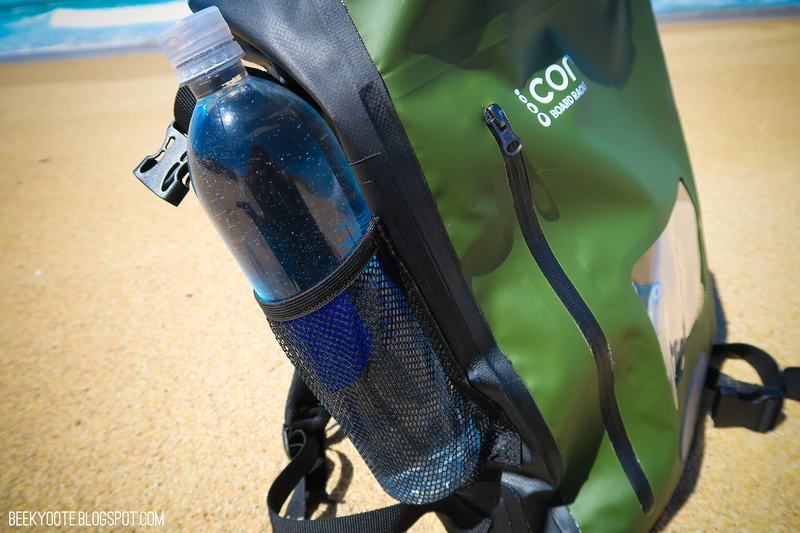 The COR SURF Waterproof Backpack! As we get deeper into Spring and closer to Summer, it's definitely a good time to be stocking up on your adventure gear! 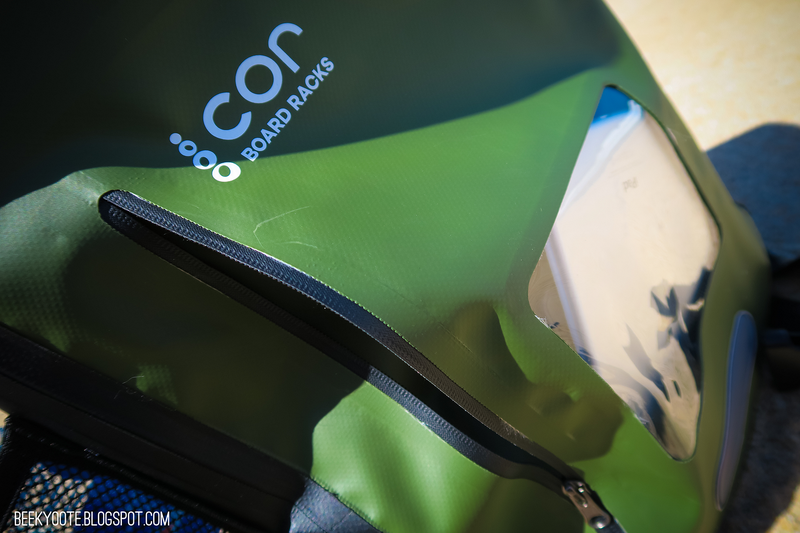 Luckily, I was given a discount to try the COR SURF Waterproof Backpack! I grabbed Jimmy and drove off to an adventure! Read on to check out more on this bag! 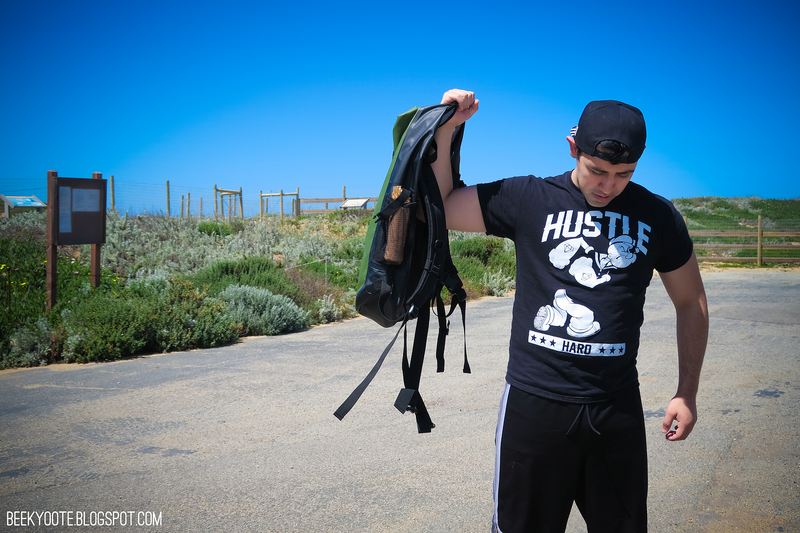 This is one BIG Backpack! BIG enough for several days of travel. 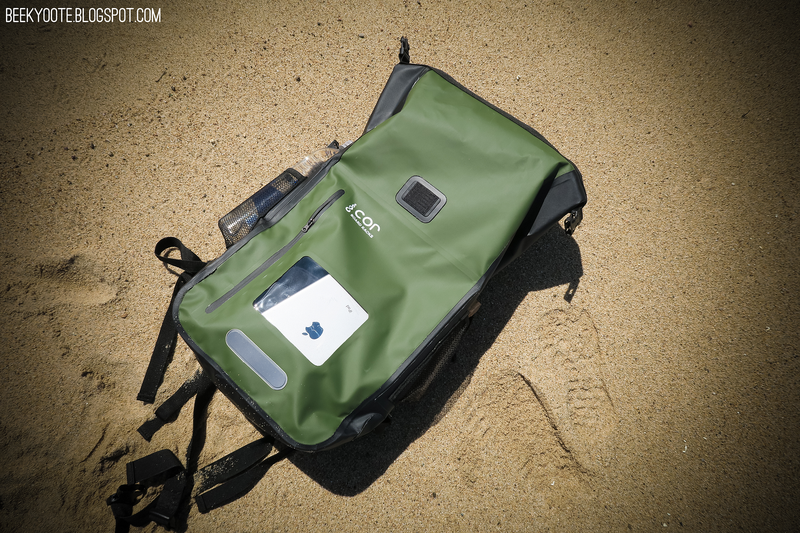 Roll-top 100% waterproof backpack. Just roll, click the top and you can go anywhere in any condition. Floats safely if dropped in water. Great for travel, rafting, kayaking, paddle boarding and all water sports. Protects contents from dust, sand, dirt and water, Unique High Frequency welded construction made from 500D PVC Tarpaulin = TOUGH! This backpack turned out to be bigger than I imagined! It has a lot of very useful and accessible pockets. Both sides can hold your water bottles. The front pocket has a zipper on the side and the contents are visible with the plastic cover. 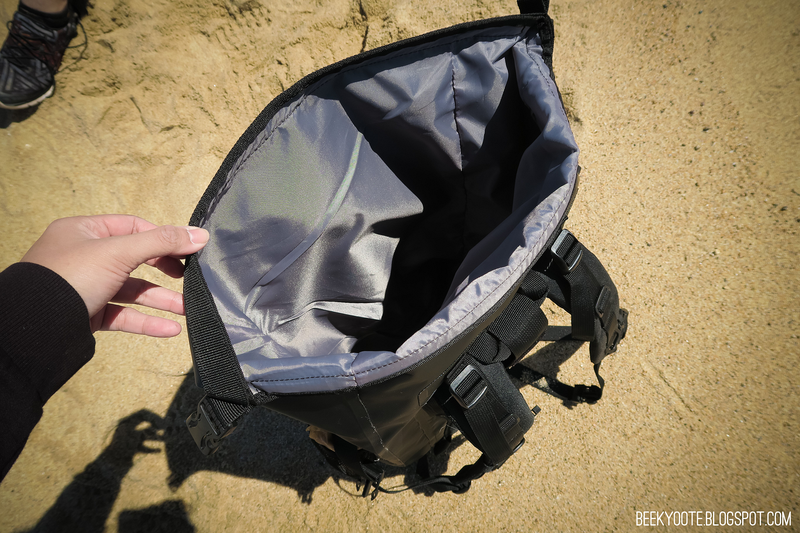 The main compartment goes in deep and padded well to hold your laptop! The straps are also padded for comfort with added clasps for security. The quality is tough and very reliable. 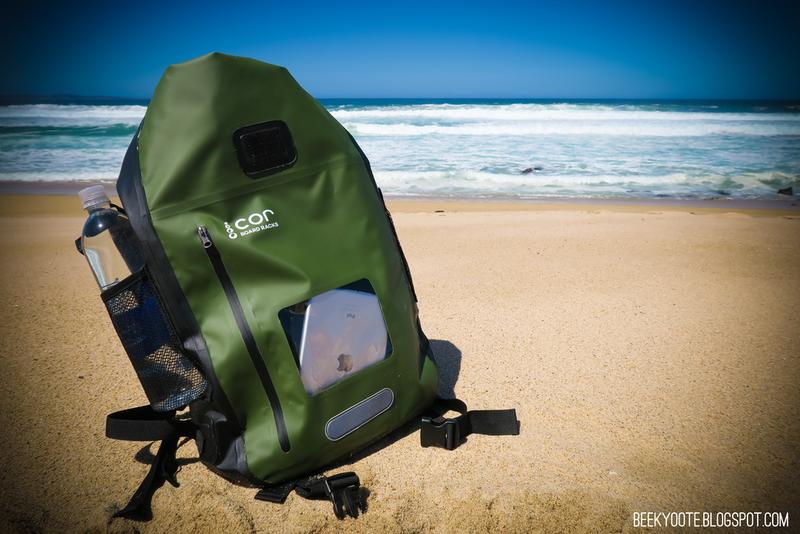 It also has reflective panels in case your adventure goes through the night. 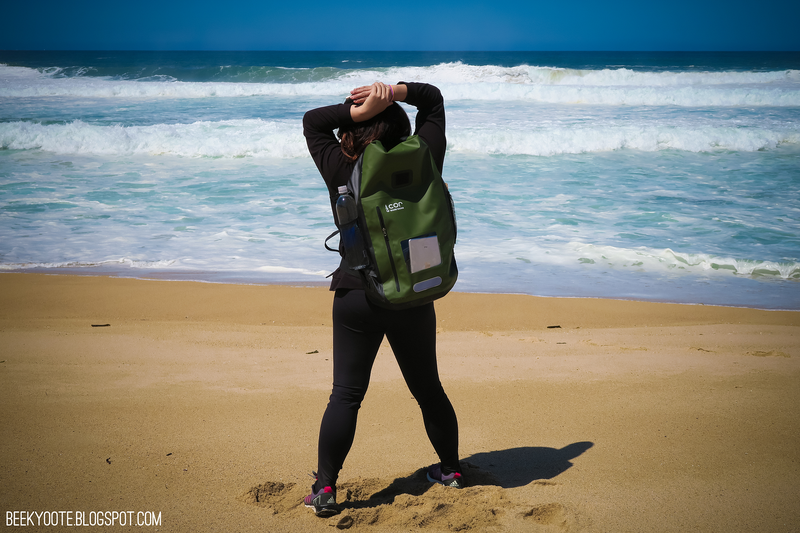 It's definitely made for an adventure that involves sand, sea, or even mountains! For a 6'+ guy, this is a pretty good size. For a 5' 3" girl, a little large but nothing I can't handle! I can't wait to use this for more adventures! 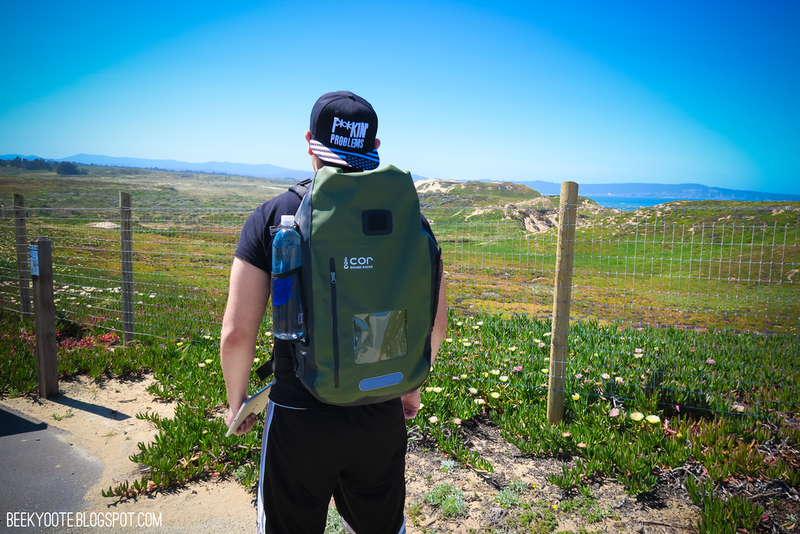 I think that backpack is fantastic, I make triathlon and I use an inflatable ball that can put something inside but I didn't know there was a backpack like that in the market. Thank you for discovering this wonderful backpack. Thanks for posting your valuable thoughts with us & our readers.